Shopping for Illinois auto insurance is a must among state residents who own motorized vehicles, who have been required by the state’s Vehicle Code to have at least the minimum liability insurance to protect them from financial worries in the event of accidents wherein cost for vehicle repairs, medical expenses, and legal fees can be huge. 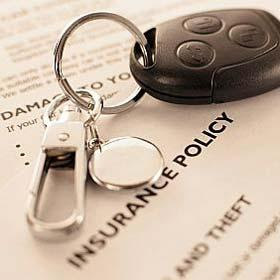 Without auto insurance coverage, one may face a number of lawsuits to compel him to pay for the injuries and damages. If you find yourself in that situation without the assistance you can get from any insurance company, then financial downfall is inevitable. What Illinois auto insurance you basically need? This coverage will pay for the injuries to people and damages to properties that you or your family member or other person that you have allowed to use your vehicle have caused. Bodily Injury – Minimum insurance limit for Bodily Injury is set at $20,000 per person in each accident, and $40,000 for two or more person in total in one accident. This will pay for costs of injuries or death to other people including pedestrians, passengers of the other vehicle, or passengers of your vehicle that are not members of your household. Property Damage – Minimum limit is set at $15,000 to pay for the cost of damages to properties such as the other vehicle involved in the accident, damaged buildings, fences, road signs, utility poles, and among others. This coverage will pay for your bodily injury caused by uninsured driver who is at fault of the accident, or when you obtain injuries due to a hit-and-run incident. Limits for this coverage are set at $20,000 per person and $40,000 in total per accident. This particular coverage will pay for the cost of injuries that exceeds the liability of the at-fault driver. Other than those three required insurance coverage in Illinois, you may also opt to purchase Physical Damage which will cover the cost of damages to your vehicle. This coverage is split into two components – Collision and Comprehensive. The former will pay for damages obtained by your car as it collides with another vehicle or object, while the latter will pay for damages obtained by causes other than collision. Physical Damage is not required under Illinois law, but if your vehicle is being financed, your lender might require you to have the said coverage. To know how much will it cost you to have particular Arizona auto insurance coverage, or to know the other coverage you can purchase from InsureDirect.com, you may get our affordable quotes through the links provided above or call our Toll Free number (800) 807-0762.